Renata's methods have been tested and developed through her branding and social media program, The Branding Buddha, which has been taught online and privately, as well as in group classes at top universities in the United States. Along with tips from her program and extensive background in the field, Renata uses meditative practices and self-actualization to help actors develop their public image and reach their goals with clarity and intention. As she writes, "The mind is everything. What you think, you will become." 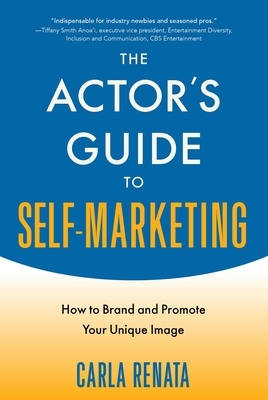 With The Actor's Guide to Self-Marketing, you'll be well on your way to becoming the actor you really want to be and landing your dream roles. Carla Renata is an actress, online radio personality, and blogging and branding expert. A graduate of Howard University, with some post-grad work at UCLA, she is the only African-American actress to recur on four network sitcoms in one season. As a former publicist, she worked on media campaigns for major corporations and non-profits, as well as Grammy, Emmy and Tony-winning artists. She is based in Los Angeles, California.